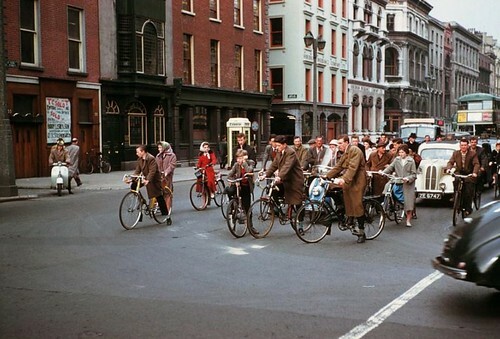 The frightening "Two-wheeled Taliban" terrorize the streets of the Irish capital. Like I always say, welcome to Bicycle Culture 2.0. We've been there before. We're there again in many cities. We're going there again in many, many others. Time to get used to it. Will Dublin be at the head of the pack or lagging behind? Hopefully I'll be visiting in June to check it all out. 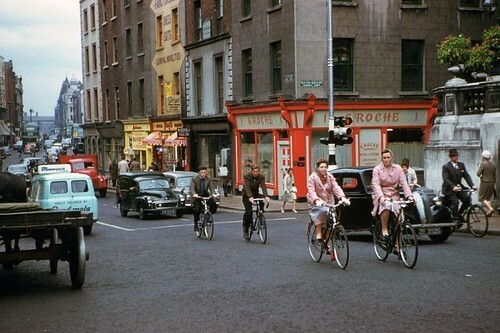 Photos spotted on the quite brilliant How To Be A Retronaut. Thanks to Alexander for the link.